Sol Cohen is Professor in the Graduate School of Education & Information Studies at the University of California, Los Angeles, and author of Challenging Orthodoxies: Toward a New Cultural History of Education (New York: Peter Lang, 1999). Cohen, Sol. 2004. “History, Memory, Community”. 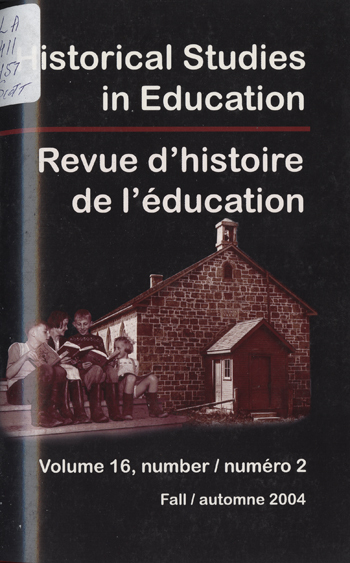 Historical Studies in Education / Revue D’histoire De L’éducation 16 (2). https://historicalstudiesineducation.ca/index.php/edu_hse-rhe/article/view/337.